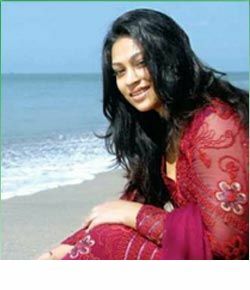 Bangladeshi actress Sadika parivin Popy started her film career with a showbiz program named ‘Lux Ananda Bichitra’ in the year 1995. But Popy made her film career debut in the 1997 film Coolie with Omar Sani, the film director was Montazur Rahman Akbar. 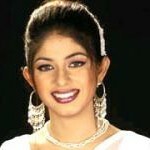 Popy is bangladeshi film actress and model. She is very attractive. She is continueing her present time in Dhaka now. Most of time the she lives in the room. For leisure, she goes to outside as like as shopping. For the lacking of actor she cannot acted more films. Most of the people like her film. 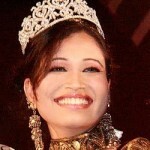 In recent, she acted the film named “Garments konna” directed by G sarkar. After release of the movie, the viewers are happy. She is the model of coconut oil addvertisement. She acted more films such as Dorea parer dowloti, Gonga jatra, Bishwa Batpar etc. Popy won the national award 2008 for movie Chandra Grahan. 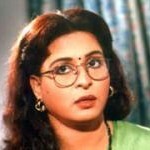 Popy started her film in Amar Ghor Amar Behesht, which one directed by Shohanur Rahman Shohan, the film was released in 1997. Actor Shakil Khan was her actor in Ghor Amar Behesht, movie. But Actress Popy performed in the film Kooli directed by Montazur Rahman Akbar before she performed in Amar ghor amar behesht, but the movie was delayed to be released and it was ultimately released in 1997. Omor Sani performed with Poppy in the film Kooli. The Film was blockbuster, and budget 1.2 crore and its was business around 7 crore in box office. In that period Poppy acted Akbar next film Ke amar baba with the late actor Manna; the movie was super hit at box office, then she was continuously acted four film for Montazur Rahman Akbar, all of them were commercially successful. Then Popy became popular actress in Bangladesh through her performance in the film L al Badsha produced by Manna and she acted in movies one by one after that with Shakil Khan, Omor Sani & Manna. The popular actress acted with actor Riaz, Ferdous, Bapparaz, Ameen Khan, Shakib Khan, Emon, Amit Hasan and Rubel also. Bangladesh actrss popy received 3 times National Film Award for her acting in the movies Karagar, Gongajatra and Megher Kole Rod with Ferdous and Riaz. Popy also acted in some of the special dramas such as Mem Saheb, Na Valobasini, Onuvobe Valobasa etc. in the television and even engaged in producing dramas. Notable work: Coolie, Megher Koley Rod, Ki Jadu Korila, Bidrohi Podda, Rani Kuthir Baki Itihash, Garments Konna. HI popy. i like u very much. but i want 2 tel u dat when ur very fat plz dont act in any movie. dont mind thank u.
hi popy how r u. i like ur movie, specialy ur song i like very. popi jan.tum ka khobor…. i like u very much… why don’t make romantike & movi. Im writing from the uk. just want to say i think your work is brilliant. Unfortunately there people board and sad enough to make comments like in the previous messages left. 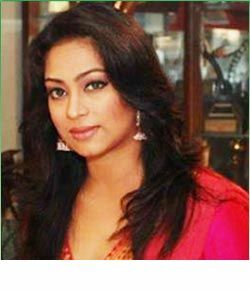 Salam to popi.Actualy you are the frist glamarous actress of bangladesh.Very very greatful to and eid mubarok.thank you. Dearest Popi Long time we are not gonna see you in new Movie. It is so sad for us. I urge you to make new new movie. Otherwise I would like to feel so pain. Hi! popi, ami tomar sobgulo film dekheci (Koli- doria payer douloti). tomar ovinoy amar khub valolage. hi popy how r u. i like you & ur movie. Pls. I need your mobile number. Popi apu recently you are being fat. please control your body.